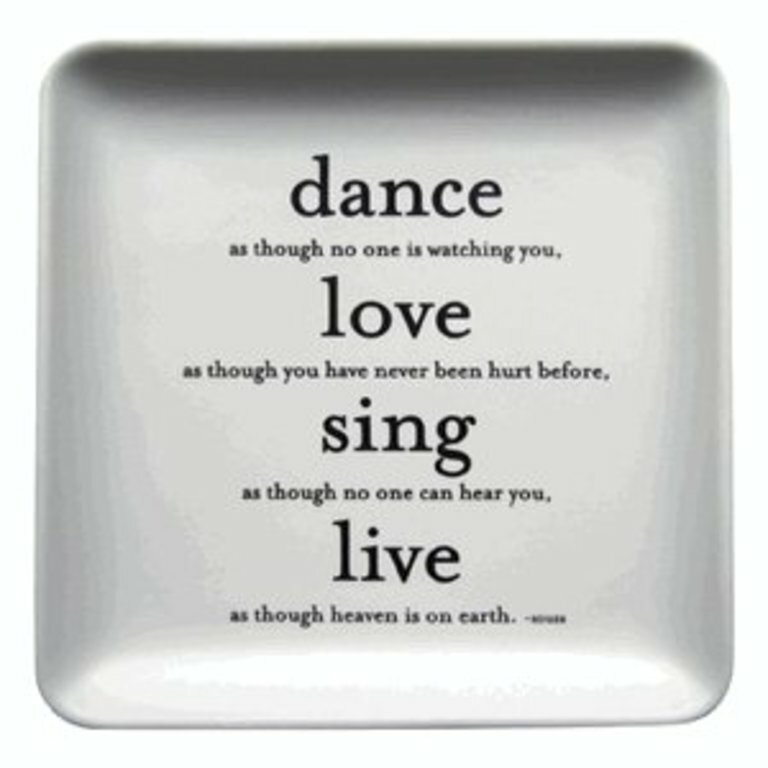 Souza inspirational quote, in classic Quotable Cards style, is now available in a 5" square everything dish. This handy ceramic dish is a welcome addition in any room of the house and makes a wonderful gift as well. Quotable Everything Dishes are microwave and dishwasher safe and have a ceramic matte finish.